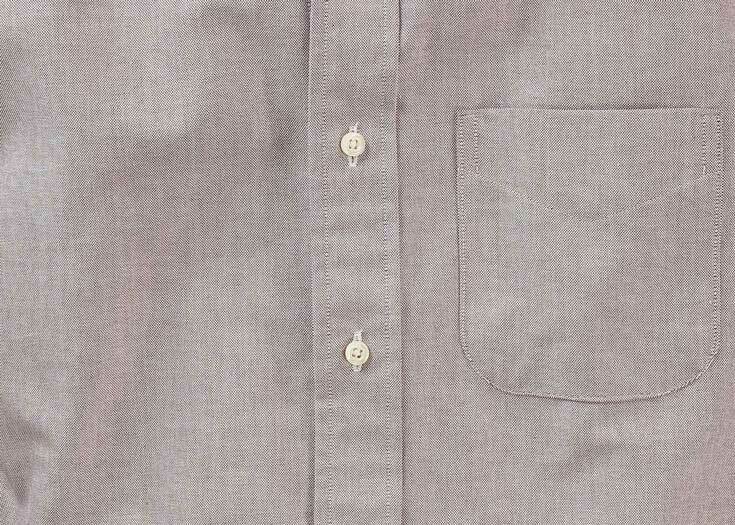 Wonderful look and feel. 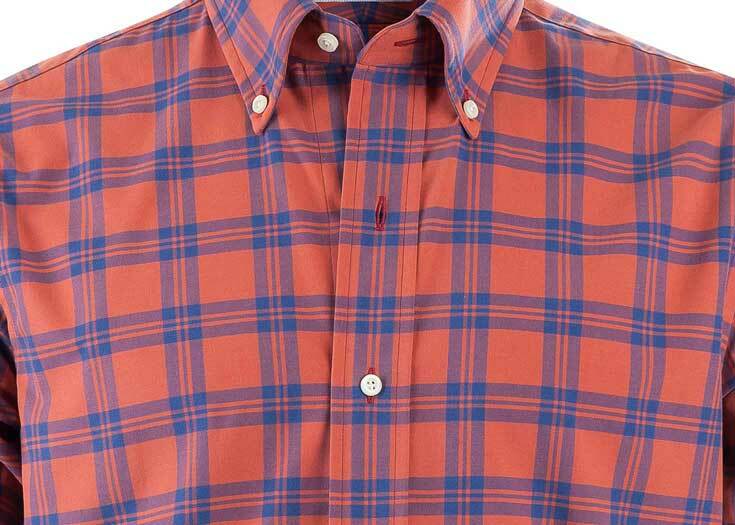 Great sheen. 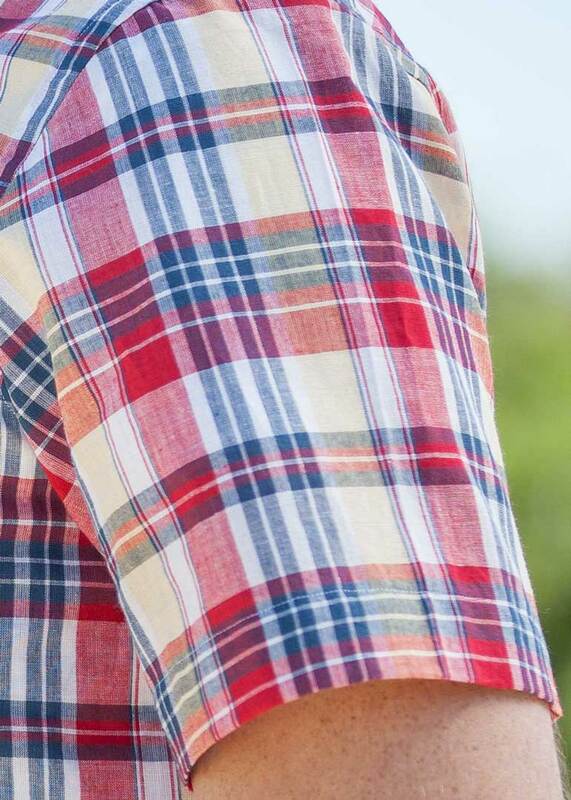 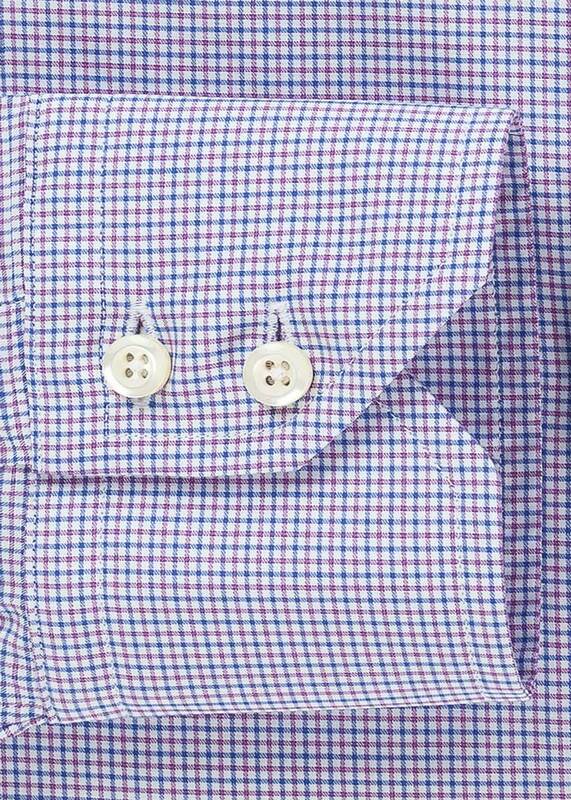 A definite required shirt for any man's wardrobe. 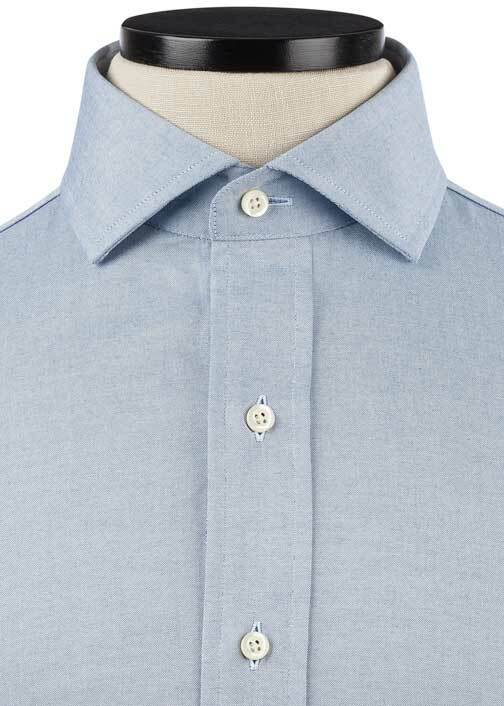 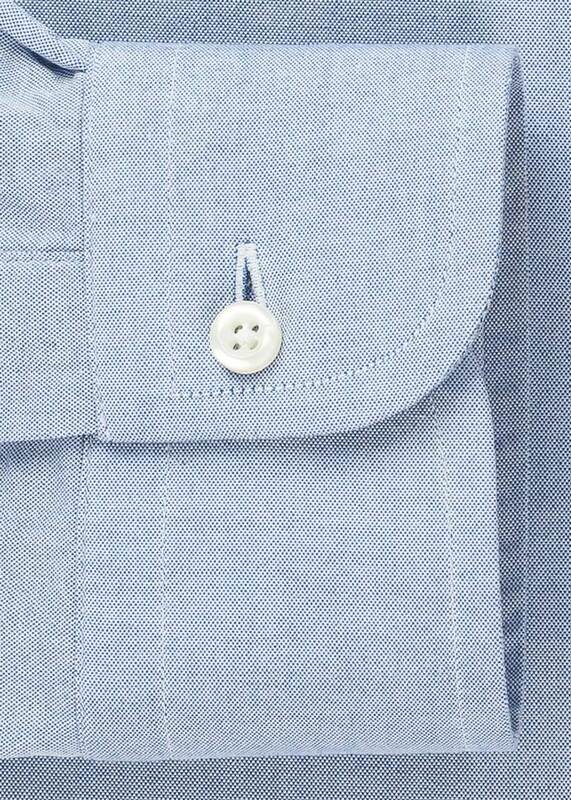 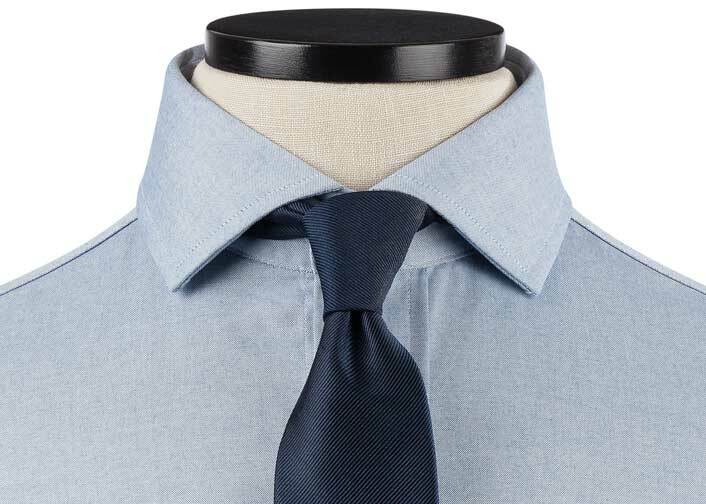 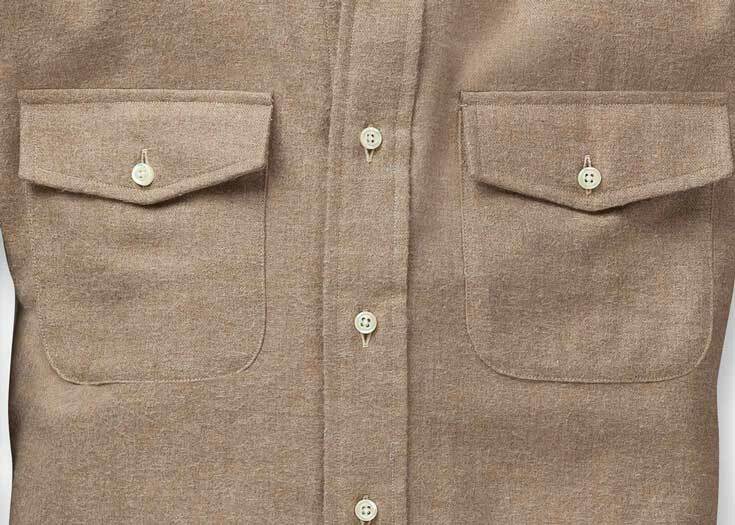 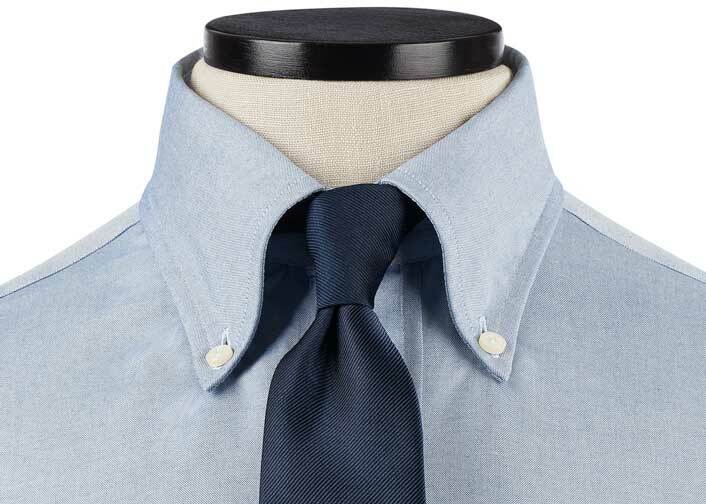 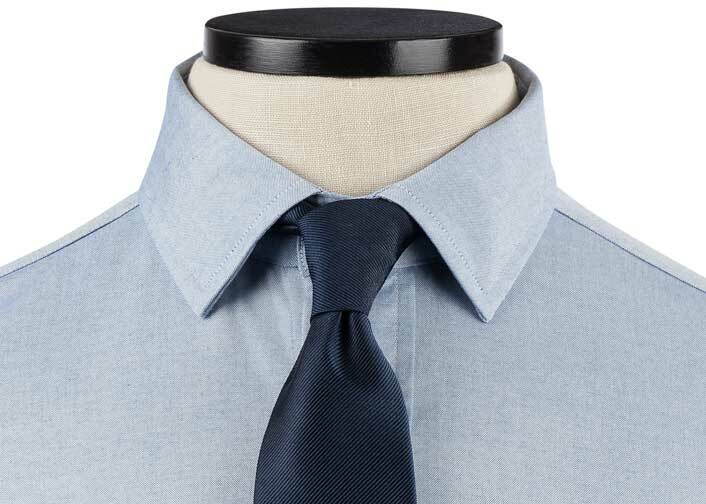 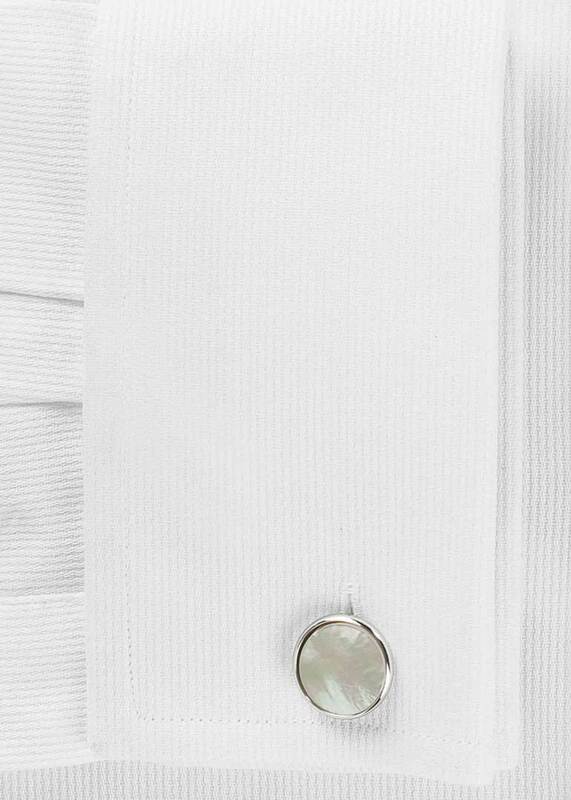 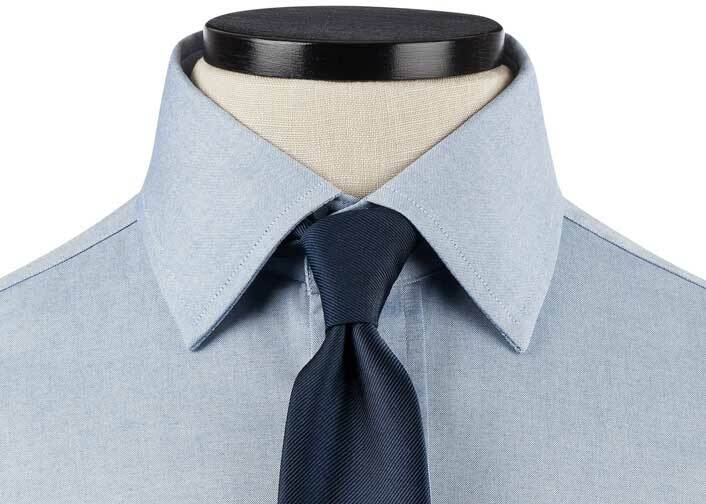 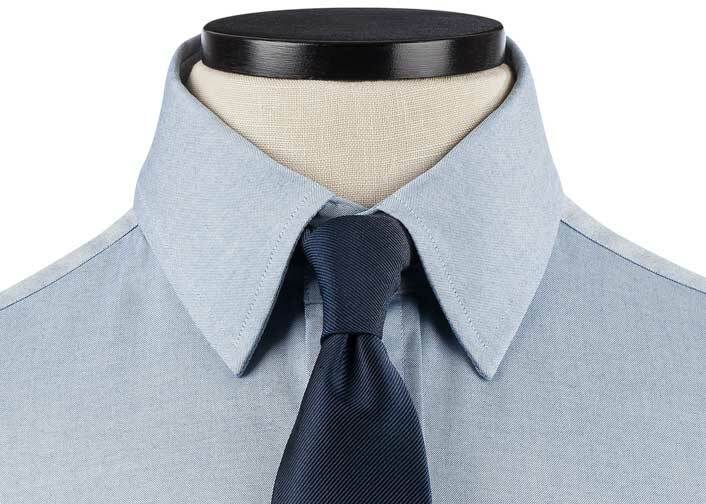 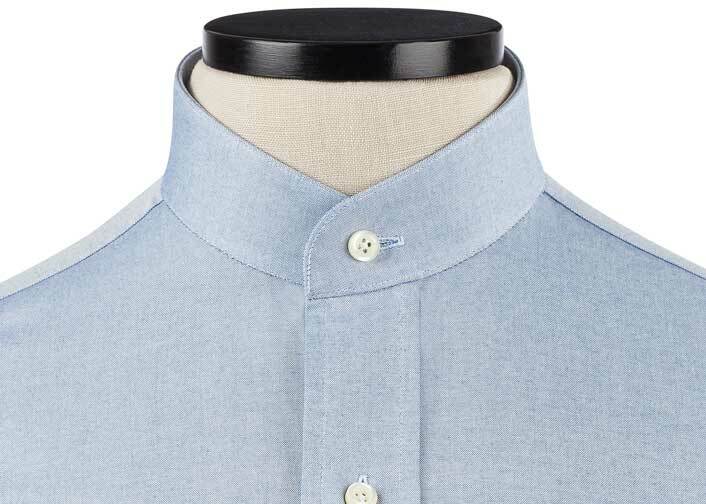 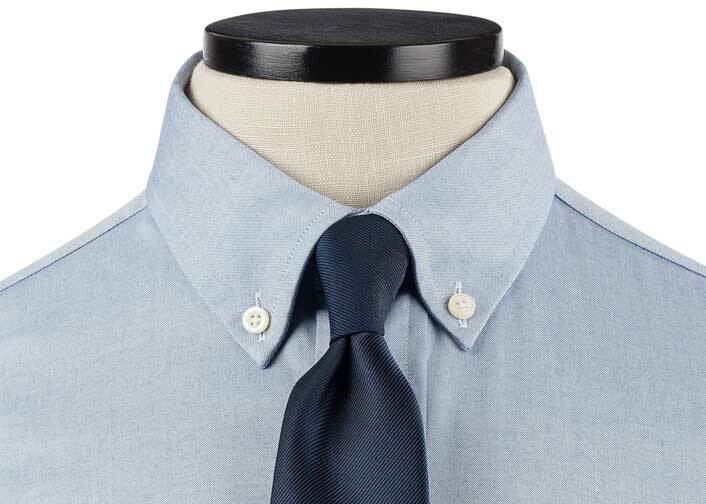 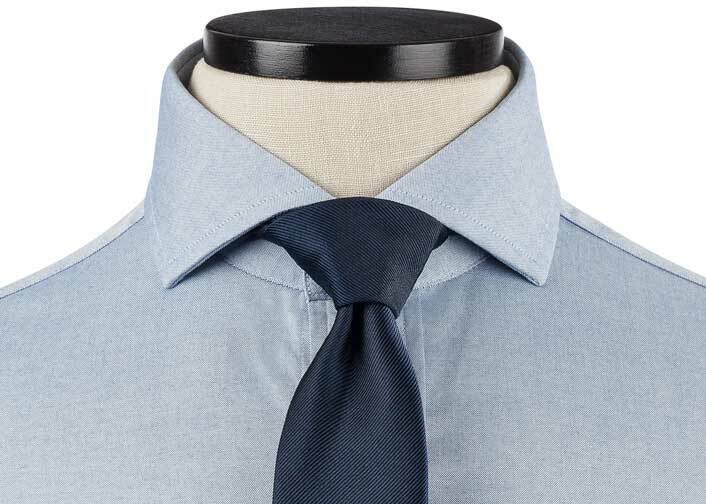 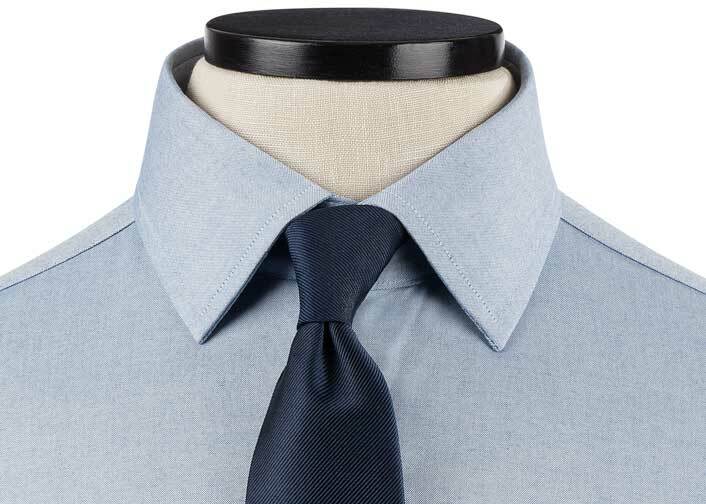 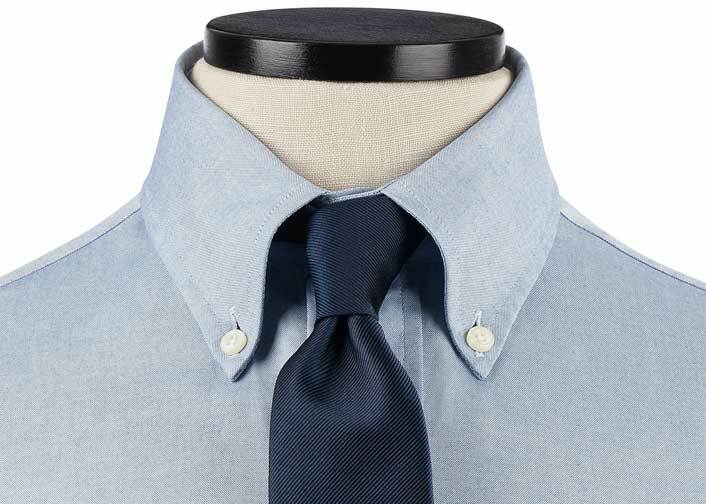 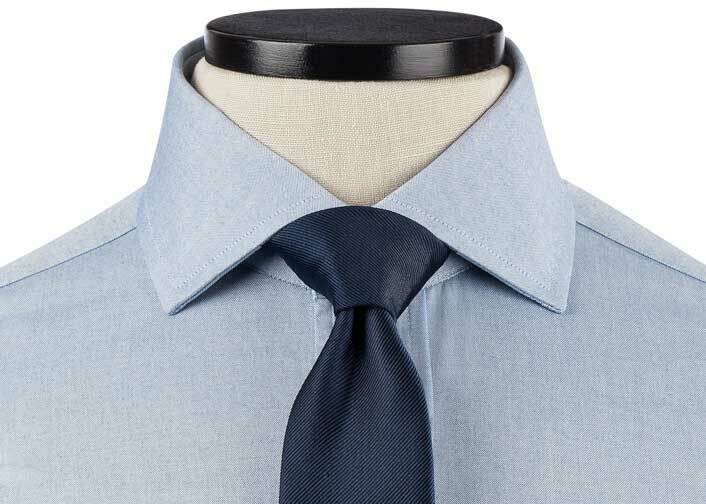 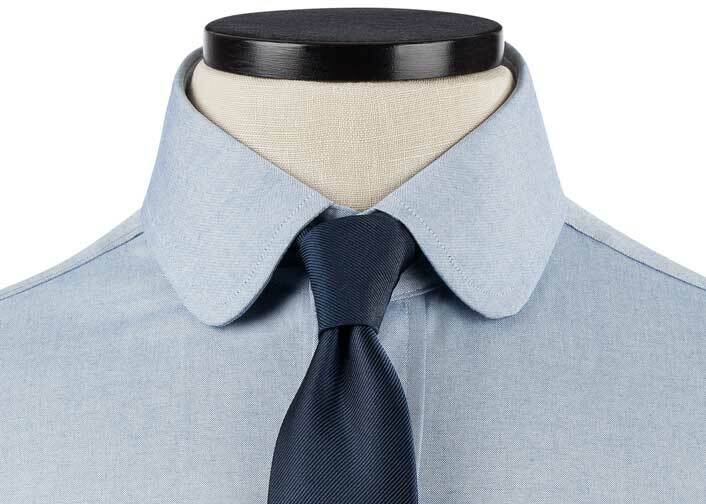 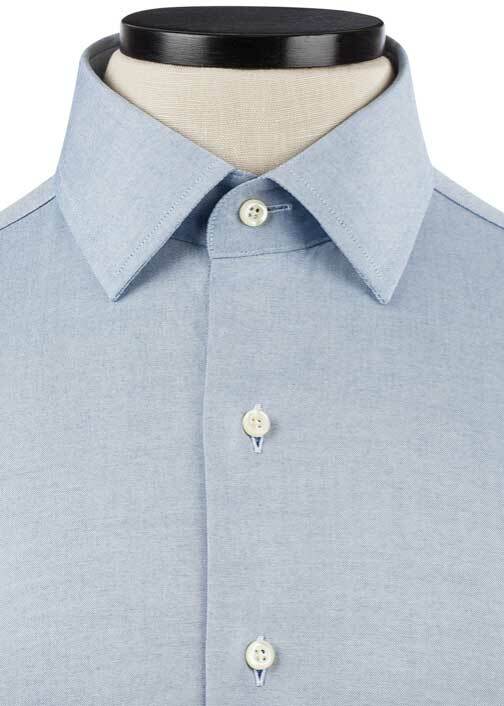 Nice basic light blue dress shirt fabric that wears pretty good through a day. 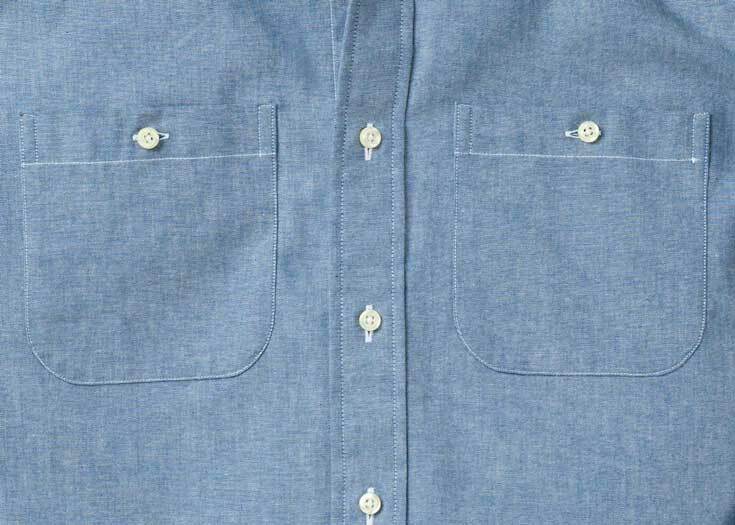 The light blue is woven with white yarns in the weft, which lends a subtle matte texture to the twill, which would otherwise have a bit of sheen.